Part of the publisher’s responsibility (that’s you!) is understanding the role of the ISBN(s) for your book. as the world of audiobooks continues to expand, more and more clients are pursuing this too. Pro Tip: You can now upload your epub directly to Amazon’s KDP system. It will convert it over to Amazon Kindle’s proprietary .mobi file for you. As long as the epub is configured correctly, there will be no issues doing it this way. If the epub will be used to upload to non-Amazon platforms or sites, it will require its own ISBN. You CAN choose to assign one of your purchased ISBNs to your Kindle version, but it’s not necessary. Your Kindle book will only be distributed through Amazon, and they will assign your Kindle version an internal number called an ASIN. For physical books, each size, each binding style, or any combination of the two gets its own ISBN. Example 1: If you do a 6×9 paperback and an 8×10 paperback, then each size will get its own ISBN. Example 2: If you do a paperback and a hardback, then each binding style will get its own ISBN. Example 3: A spiral-bound 6×9 will get its own ISBN and a 6×9 perfect bound (traditional glued spine) will get its own ISBN. Copyright showing ISBNs based on format. There are a few scenarios where you can use the free ISBN. This is when it’s not actually an ISBN. Some platforms will have their own numbering system that they use specifically for their proprietary system, such as Amazon Kindle. In this case, your book is assigned an ASIN and is only usable in their system. The same is true for digital audiobooks that are released on Audible, Amazon, and iTunes. You can still assign them your own ISBN if you want to, but they will also be catalogued under that platform’s own numbering system. If your marketing plan does not extend outside the realm of these proprietary platforms, then you are in the clear. Read on to study your long game. It is so tempting to just use the free ISBN option. I mean, it is going to save you at least $125 for a single ISBN, and that’s no small amount of money. (Packs of 10 are $295, and packs of 100 are $595.) But hopefully your parents taught you the old adage of “nothing in life is free”. That saying exists for a reason–because it’s TRUE! IMPORTANT: Do not choose the free ISBN for your print book that KDP and other companies will offer you unless you want them to own distribution rights to that version of your book. This doesn’t mean that the holder of your ISBN will own your content. Whoever holds the copyright owns the content. But ISBNs are not transferrable, and they will forever own that ISBN. 2) you want to stay in control of your book. Your best option is to buy 10 ISBNs for the $295 (if you’re fixing to blow up the world with books, then get the 100 for $575). You can use these ISBNs on future books. Remember that you can not transfer ISBNs. 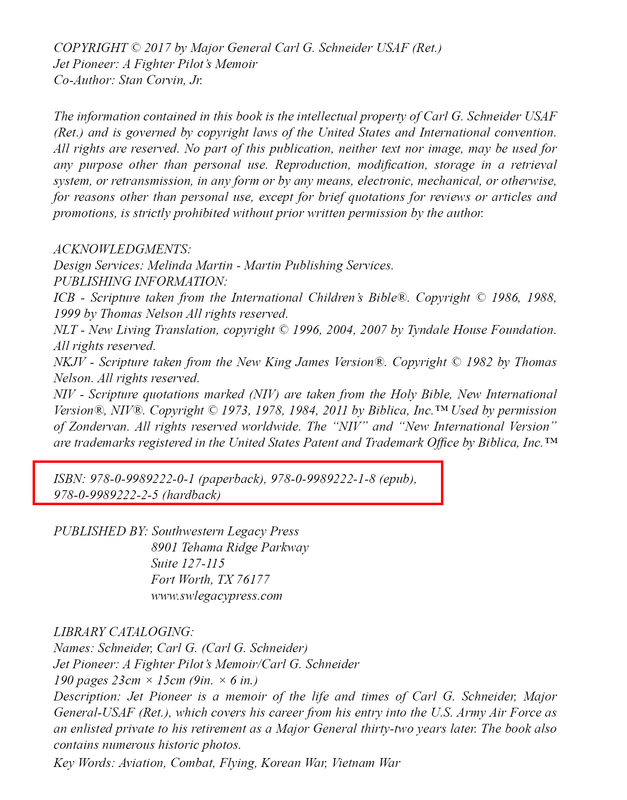 If you allow someone to publish a book using one of your ISBNs, then you will be shown as the publisher. You would also be held responsible should any legal issues arise from the publication of this book, especially if you did not have a contract in place with the author. If you are not in the “publishing for others” business, do not allow your ISBNs to be used on other authors’ projects. Read Business Tips and Taxes for Writers to learn more about putting legal protection in place for your author-centric business. If you want to purchase ISBNs through the United States, you will have to go through Bowker. Even if you’re not a US resident, you can still purchase US ISBNs. Check this site to see which agency to use depending on your location. and choosing a logo for your new publishing company.